Result-oriented Legal Representation For Your Premise Liability Accident. 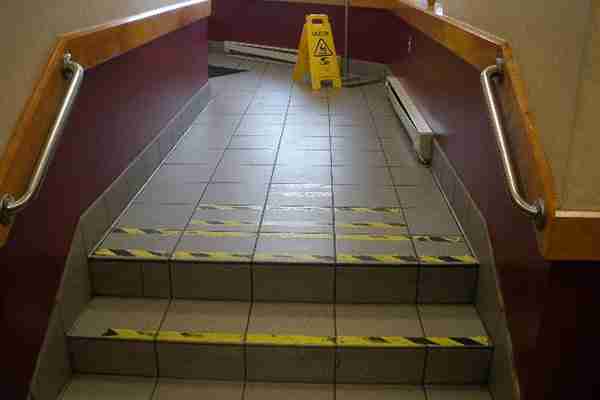 Why Do I Need A Premises Liability Lawyer? If you have been harmed due to the negligence of a property owner, negligent employer, or any other situation, you have a right to be compensated for your injuries, lost earnings, and pain and suffering. As your New York premises liability lawyer, we will leave no stone unturned in ensuring your rights are protected. Our goal is to make sure you receive your rightful compensation quickly and for the full amount that is owed to you. Dealing with lost wages, medical bills, and physical injury can take a major toll. Let us handle the legal aspect of your accident by speaking with the insurance companies on your behalf, assembling evidence for your case, and developing a strategic approach for a winning outcome. No one should have to suffer from the negligence of another without compensation. We can guide you through the process of seeking the compensation you are owed. After an accident, you need to know that you have a premises liability attorney who can provide you with the aggressive, results oriented representation your case deserves. At The Law Offices of Elan Wurtzel, we provide assertive legal services coupled with compassionate care for our premise liability accident clients. We understand that this is a very challenging time and we will do everything possible to ensure the best outcome for your premises liability case. “Premises Liability” is a legal concept used when an individual experiences a personal injury as a result of defective or unsafe conditions on another person’s property. The majority of personal injury cases are based on negligence and for a person to win premises liability, the injured party must prove that the property owner was negligent. A negligent property owner refers to an individual who fails to use reasonable care to maintain their property; thereby, placing a staff member or visitor at risk of injury. Many people feel they are entitled to compensation when experiencing a personal injury, but this is not the case. It is important to note that because you are injured on a person’s property, it does not mean that the property owner is considered negligent. Moreover, merely having the property being in an unsafe condition does not place the property owner in a position of liability. To show the property owner is liable, you must prove that he or she knew of the unsafe condition and failed to repair the situation. A premises liability lawyer can help understand your specific situation and potential compensation opportunities available. The property owner’s duty of care will depend on the state, but the rule-of-thumb is that the property owner owes a duty of reasonable care in owning and maintaining property. Certain states apply an old-fashioned rule regarding duty of care which restricts the property owner’s obligations based on the status of the visiting party. On Long Island, NY owners must care for their property under the circumstances regardless of the “status” of the person who is injured while on the property. It is important to have a qualified New York premises liability lawyer to deal your premises liability case. Who Is Responsible For Sidewalk Repair? New York State law requires property owners to maintain their property in a reasonably safe condition. If someone is injured because the property is not properly maintained, the owner could be held liable for negligence and be responsible for someone’s injuries. When it comes to the public sidewalks in front of your house, things can get a little fuzzy. Even though the sidewalks are owned by the municipality, most local codes require the property owner to maintain the sidewalk, including keeping the sidewalk clear of obstruction, or, in the winter, snow and ice. In many municipalities, such as the City of New York and local Long Island villages like Mineola, ordinances shift liability for these kinds injuries from the municipality to the property owner. You have a right to be compensated for your injuries, lost earnings, and pain and suffering damages. We will ensure your rights are protected as your New York premises liability lawyer. Our goal is to make sure you receive the compensation you deserve quickly. Contact The Law Offices of Elan Wurtzel today to get started with a free consultation!